The Seafood Paradise Arcade Game board is a lottery-type game with a marine fishing theme, which includes 19 different types of fish. To help players catch the fish there are three kinds of powerful special weapons and the aim of the game is to catch as many fish as possible for the most points! 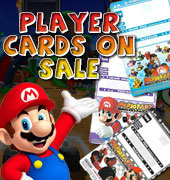 Also, players can earn high-score rewards for all their hard work! 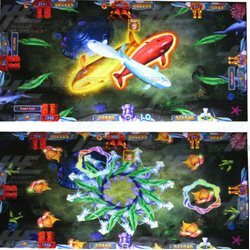 The Seafood Paradise Arcade Game Board features with a ocean theme, similar to fish hunter game and allows 6 to 8 players to play at the same time. 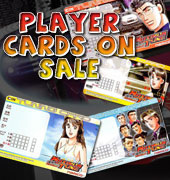 It is incredibly popular in most arcade centers! This PCB can be used to replace boards in current Seafood Paradise machines. It can also be used to update any number of 6-8 player fish hunter arcade cabinets, as the board can be set for either 6 or 8 players. This allows operators more variety from a single board. This Seafood Paradise Arcade game board is upgradable to add bill acceptors and thermal printers and there is no need to grab any extra equipment. With this English version board it can be directly connected from PCB to IO board to the bill acceptor or printer - very simple and much less mess inside your machine! *19 different types of fish for players to try and catch - the bigger the catch, the more points you earn! *Lucky Fish — When successfully killed the lucky fish, player will get a x2~x3 Bonus reward for any kind of fish. Maximum reward is 150 time bets! *Convenient Operation - Auto Attack, Aim Attack makes the game operation more convenient and easy! You can hit any fish as you wish! *Chain Lightning - Creates a chain among different kind fish on the play field and causes damage to a large number of fish. *Heat Flames - Creates a flaming snake-like burst which causes damage to all the fish it touches as it shoots across the shoal. *Octopus Bomb - As the octopus' face goes red players can shoot it to initiate an explosion. *Rolling Thunder - Hit the octopus to bring a rolling thunder bomb and kill all common species of fish on the screen. *Frozen Stopwatch - Freeze all the fish within the range and successfully kill the fish during this time can get a double score.